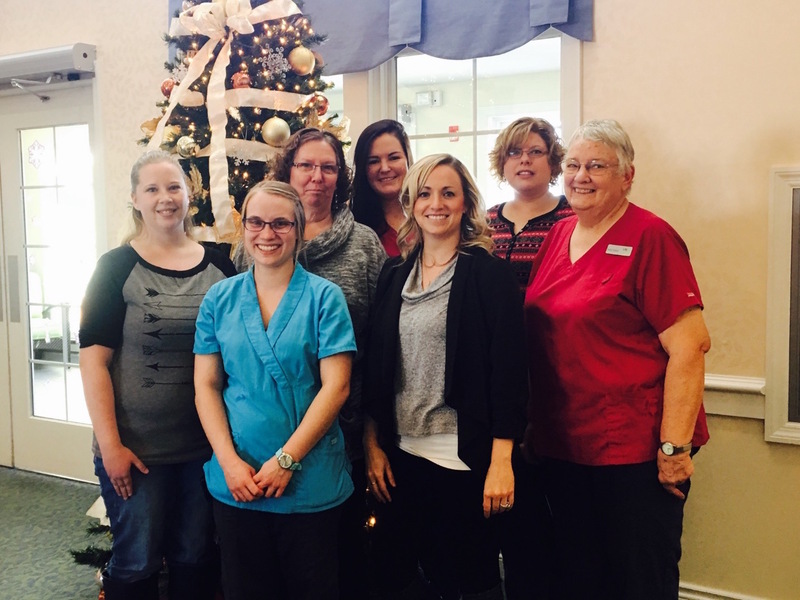 Picture left to right: Certified Medication Aide, Megin Lang; Certified Medication Aide, Alissa Koski; Director of Nursing, Leann Hintz, Certified Medication Aide, Haley Tschetter, Administrator, Lindsey Sainsbury, Certified Medication Aide, Deanna Mickelson; and Cook, Lil Odell. Belle Estate Senior Living was started with the purpose to provide the best care possible to the seniors in Belle Fourche and the surrounding areas. Giving them a beautiful option for when additional care is needed. “What sets Belle Estate apart is the personalized care we provide for our residents and the support we offer to their families. Our smaller size and compassionate staff allow us to provide the one-on-one care that every elderly person deserves. Our beautiful, bright building helps deliver a happy and inviting environment to all that occupy our cozy community.